Il viandante: Hi Mauro, Nice sound you’ve got going there. Vocals a little quiet, but I’m not listening on a fantastic system either, so it could just be that. Effective use of loops, something we’ve never tried, but they’re very popular these days. You’ve got a good feel for the style you’re playing, and I like the subtle key changes between verse and chorus. Keep up the great work, sounding great so far! Stampa Can’t get enough of Il viandante. Love It and will be replayed many many times in my list of favourites!!!!!! Il viandante: Although I’m not fluent in Italian, therefore unable to understand what message is being conveyed lyrically in Il viandante, Mauro Cipri’s hypnotic velvet tone evokes visions of sunshine and good times on this catchy mellow track! Testimone: Hi Mauro, you have a nice tenor voice. The song reminds a bit of a western movie, with the hero riding on his horse in the desert. Especially the mouth harp makes it all complete. Very nice and entertaining song. Good mix and not overproduced. Although not in English, it appeals enough to forget the difficulties with the language. Good melody , good structure. It’s the first song from you that I hear, but I want to hear much more from you. You flagged it as rock and folk, but for me it’s more a folk song (even country & western if you like). I’m curious about your rock songs … Keep up the good work ! Il vicino di casa: Mauro Cipri brings us Il vicino di casa or The neighbor in italian. The song from a listener’s perspective has a very tasty combination of early The Smiths, U2 and other mid 80’s mod-electronic based popular groups at the time. From a producer’s perspective the song has a full wall of sound but there is little beyond the initial panning of instruments any true sense of stereo depth. It is also highly compressed in its mastering and most of the dynamic range gets crushed out at the peak moments of the song. Testimone: Spirito Cantautorale. Nella migliore delle tradizioni cantautorali italiani con spiccato accenno ai sound internazionali, tipiche di alcuni brani del repertorio di De Gregori. I richiami al west country, e alle ballad americane. La profonda e calda voce, canta di un testo di denuncia. Direi un gran bel brano, arricchito da un’ ottima esecuzione. Molto bene! Grazie per averlo condiviso! Ricordi: Intricate and interesting finger picking guitar sets a nice tone for this song. The chord structure is interesting as well and unpredictable. Though i don’t understand Italian the pure musicality of this piece makes it enjoyable to listen to. I appreciate the combination of acoustic (guitar, harmonica and percussive instruments) and electronic instruments as well. Good job and wish you success! Testimone: When I see a song categorized as Rock or New Wave, plus Folk Rock I’m wondering what we’ll be hearing. Here, I get the Folk Rock, but not the other 2 categories listed. The songs intro with guitar is catchy and fun. The vocals in Italian are on pitch, in tune and enjoyable to hear. I think that’s one thing I like about non-English songs, you just enjoy the vocals without trying to get the story in the vocals to distract you. Nice song. Isola di polvere: This Song has very beautiful atmosphere! There are interesting Synths-Sounds mixed with clean “classical” Guitar and cool groove. There are also some surprising Chords…. Well done! Greetings from Vienna and take care! Come potrei: Finally found one. Hi, Mauro. I really like the song. I have no idea what you are saying since I do not understand Italian but the song is very good. Recorded pro too. I am also a one man band but it’s all good. I will check out and review other songs of yours as well. Try and get the word out there, man. Bo – The Spiders. Senza arrivare mai: it sounds like dead can dance: dark, melancholic, morbid. not bad but dead can dance still excist. otherwise: it is quit interesting that you make such dark music but you are from italy, where the sun always shines… go on! Ricordi: Good blend of folk guitar and harmonica with more modern sounds- I like the mellow synth sounds. It’s a pretty song- the melody line sounds traditional and I like the deep baritone of the singer. Good voice, relaxing to listen to. Ricordi: Love this song ! It’s a beautiful sound with a sense of mystery would love to hear an English translation as I feel the lyrics are probably really strong as well but my Italian is a bit weak ! Only suggestion is to remove or dull down some of the finger squeaks as they came out quite strongly at some points I thought. OItherwise great, one for my list of favourites ! Isola di polvere: What a light fun song to enjoy. This is classified here as rock, new wave and folk rock. Maybe folk rock, but more new age for a classification. I wish I understood Italian so I could understand the lyrics to the song. However, that may be more of a good thing because now I’m listening to the singers voice, tone, melody and find his approach nice and charming. I wish you much success! Hi! I’m in japan and played your music here, people really like what you do. Good luck in your future endeavours! I’m following you here already but what’s your facebook? I’d love to send you my LIKE there as well)))If you don’t mind of cause. Come potrei: Great intro, good Sound. The vocals are a bit too low and could be a bit “clearer”, a bit more “in the front”. But Overall this is a real nice song for Relaxing, closing the eyes and dreaming away. Unfortunately I can not understand what the lyrics are about. Testimone: Mauro, this is a great, easy flowing sound on this tune. Very well polished. I can only imagine how it sounds live! I am a live guy, so that’s how I think of this tune (I think the more natural sounding the better – percusion is a little spread, in my opinion, I’m curious how that would sound coming from a single location in the mix, but not a deal breaker, just a curious point). Energy to this song has a wonderful atmospheric ease to it, I’d love to set your stuff on at a party or on a patio for brunch at some cafe. I only wish I understood Italian! Senza arrivare mai: This song starts out with a jazzy-techno feel intro with some Soft Cry like Voicings laid in.I’m liking the interesting Techno-Jazzy Musical Feel throughout,it blends so well with the Seal inspired Vocal Melodies/Tone.Seal is a Grammy Award Recipient for a Reason my Friends.At the end of the track there is a Sweet techno sequence with a Beautiful keyboard swell that takes you nicely out..In Retrospect of “”Senza Arrivare Mai””..I Find It a Relaxing yet Very Much Interesting New Age Adult Contemporary Song.It Goes Very Well with a Glass Of Wine.Cheers! Ricordi: I really like the way this begins almost like an old 70’s rock song – reminiscent of The Rolling Stones or Led Zeppelin but with a folk twist. The vocals make me think of a cross between The Beatles and Blur (why Blur I don’t know, but that’s what comes to mind…Possibly thinking of Blur’s Wassailing Song? ), but I like the haunting quality they bring to it (and the background instruments). I like that it’s a folk song, but could also work as a fully fledged rock song – an experiment I’d like to hear. Thoroughly enjoyed this one. Testimone: Very upbeat and keeps my foot tapping throughout. I like the classic jangle of the guitar and the changes in the the melody of the lyrics. All in all, a very enjoyable song to listen to and I’d like to hear more from Mauro. Muy buenas canciones, y excelente estilo, felicidades…. hey i was browsing for some new good music and came across your wonderful sounds! 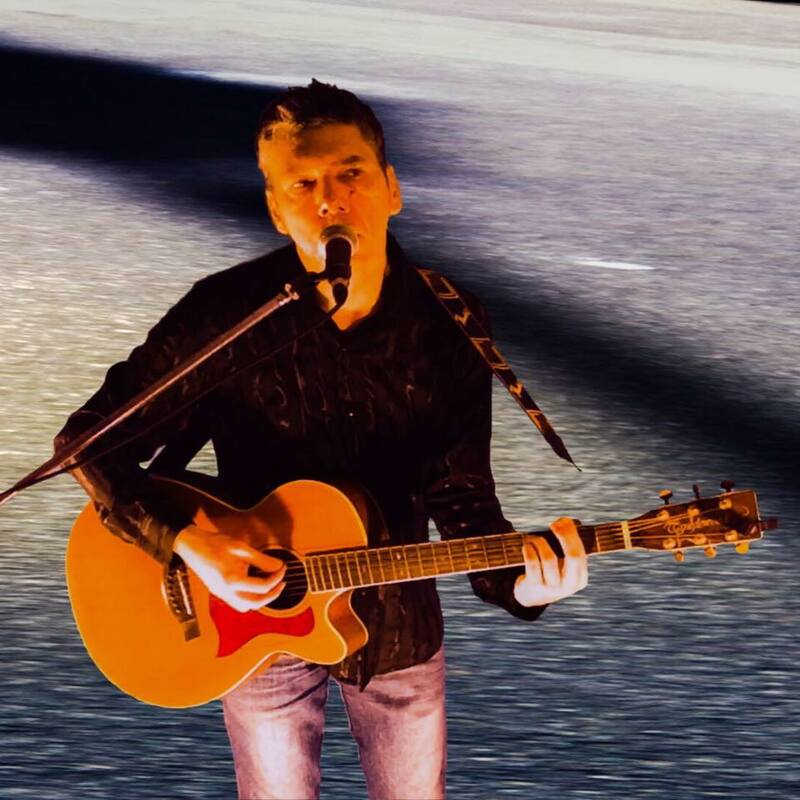 I’ve just joined your network to recommend your music on my facebook and earn blincoins. Keep in touch!